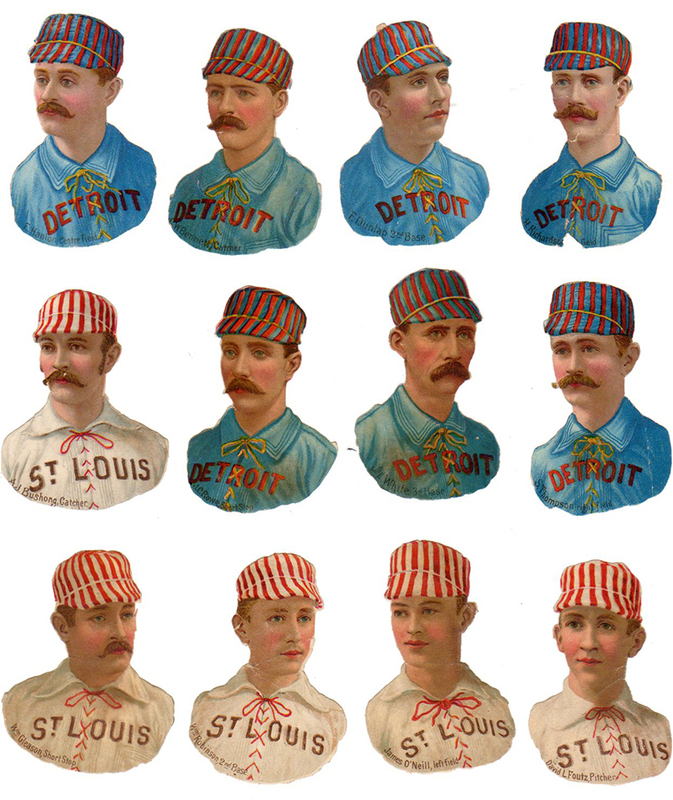 1888 Scrapps Tobacco Die-Cuts Baseball cards. 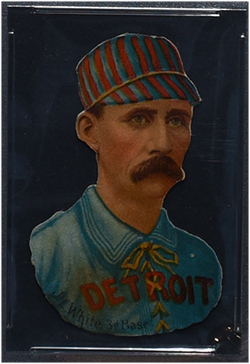 These baseball die-cuts were made by H.D. Smith & Co. of Cincinnati, Ohio, manufacturers of confectionery and chewing gum. These cards were issued in 1888 along with bubble gum. While cataloged as a tobacco issue, these were an early gum issue. There are 18 players including a handful of Hall of Fame players in the set. 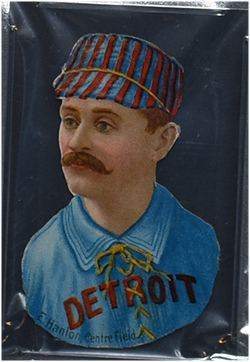 The set contains players from thte Detroit Wolverines and the St.Louis Browns. They vary in size but are approximately 2" wide by 3" high and have blank backs. Players names and position are on the bottom of the cards.